Preparing for your first labor is scary. There is a lot of information out there. And a lot of the information is pretty repetitive. 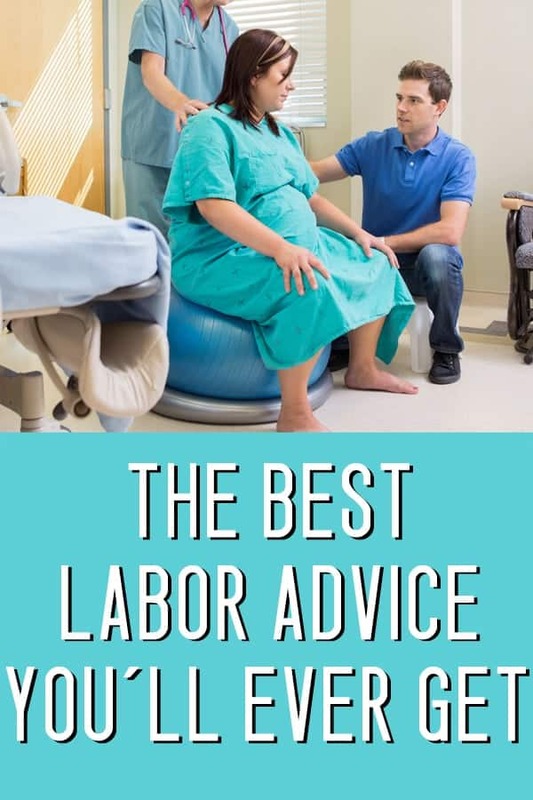 By the time you reach your third trimester you have probably read countless articles about kegels and what to pack in your hospital bag and about water births vs squatting births, and about how imperative it is that you try different positions during labor. And you are maybe even feeling a little overwhelmed by it all. I was fortunate enough, in my pregnancy, to stumble on a few absolute gems. Advice that went way beyond kegels and hospital bags and water births. Having this information took a huge weight off my shoulders, and allowed me to focus on other things (like working on this blog, so I could stay home with my baby, and not go back to work). 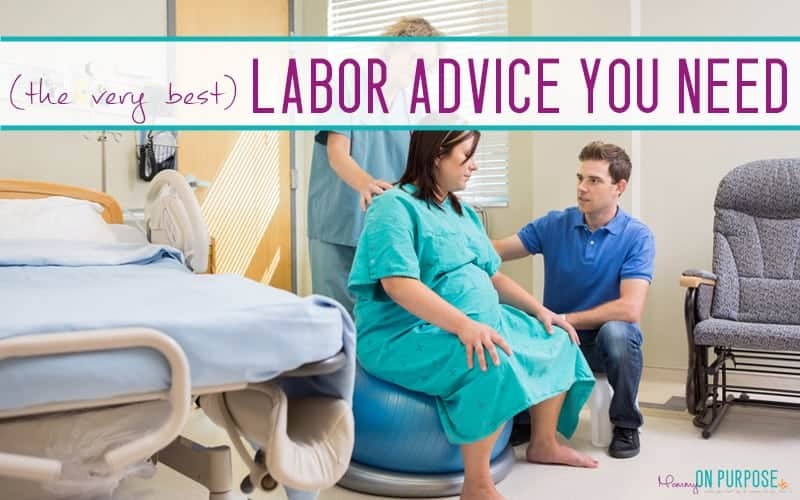 After I read this labor advice, I actually felt prepared enough that I stopped reading. Now, having been through labor (twice – without epidural both times), I can say this this stuff is gold – every woman should know these things before those contractions start. Regardless of what sort of birth you’re aiming for – epidural, just-the-morphine, or even completely natural – you need to know this! – from How I Handled Pain During Natural Childbirth. This post comes from Jamie @ Simple Living Mommy, one of my very best (and wisest-at-birthing) blogging friends. She also talks about how if you were in a coma and went into labor, that your body could deliver your baby for you. THAT is amazing, and absolutely makes the whole process seem easier. 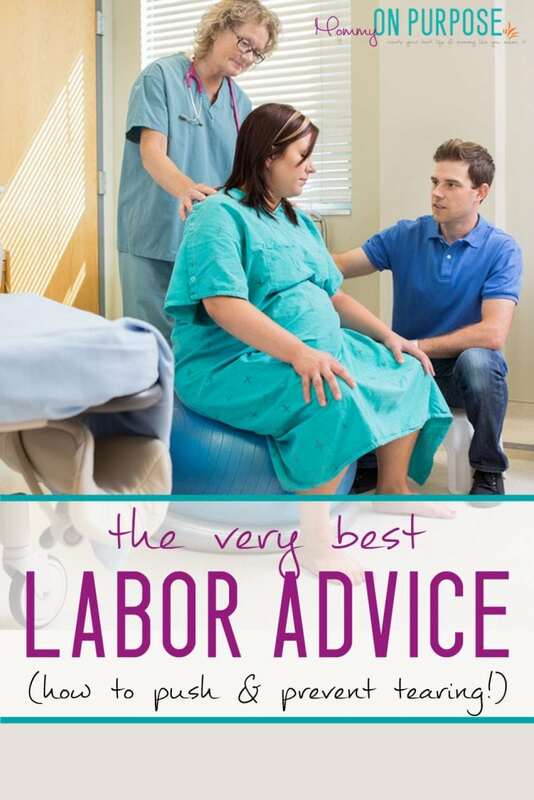 Read the post here – it’s full of amazing labor advice. While this was the tip I found the MOST awesome, the next 4 are pretty important too! Just because something is trendy doesn’t mean it’s the best thing to do. This post really gives you some solid evidence for not squatting during pushing, and great ideas of what to do instead. Lindsey’s take on perineal massage and warm compresses at birth lead me to having some really good conversations with my Doctor prior to delivery, and I believe that those conversations made a big difference in my labor experience. – from How to Prevent Tearing (by Lindsey @ Mother Rising). Paula says “really try to relax the muscles in your pelvic floor and envision yourself blowing out a candle with some force”. She talks about how you are not actually using the same muscles as when you go to the bathroom (even tho it feels like it!). Knowing a little more about how to push before you go into labor really takes some of the stress out of the situation. 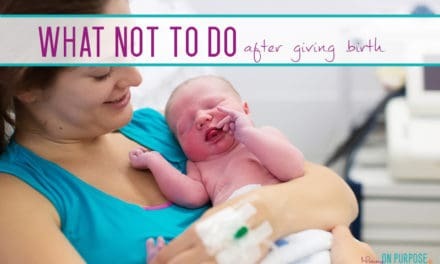 – from How to Push During Labor (by Paula @ Easy Baby Life). The post 10 Things to NEVER Say to a Woman in Labor is another gem from Lindsey @ Mother Rising. – and relieve any fears you have. Here’s a great Online Prenatal Class from my friend Hilary @ Pulling Curls, who just happens to be a labor and delivery nurse, so she knows what she’s talking about. I didn’t make time for a prenatal and when my water broke I had no idea what to do. Should I go to the hospital? Wait for contractions to start? Try and catch some of it for looking at, maybe? Yikes. I have (since the birth of my baby = far too late) taken Hilary’s Prenatal Class and, surprise surprise, she does in fact TELL you what to do if your water breaks. She is straightforward and not scary – which is the whole reason I avoided the classes in the first place! Use the coupon code MOP10 to get 10% off her course, and get yourself properly prepared to do the baby having thing. This advice can make it just a little less hard. O no!! I’ll have to look at that. Thanks for the heads up. I really appreciated your post as I’m someone who has been so overwhelmed with what people tell me, I’ve been avoidant of reading articles and telling myself I should just trust the journey and my doctor. The links you provided are just enough to give me a little more insight to pursue the things I should and can leave out the rest. At 31 weeks, I’d love to say THANK YOU. the free one is the hooded towel 😉 it says up above $50 off the pillow. What website do you go to, to read the article?? Really interested. I love how these tips are not at all generic. I haven’t heard of the one about keeping hands relaxed before, so its something for me to remember. Thanks! I totally did this for my second labor – relaxed hands – HUGE difference! I’m so scared to have another baby. My contractions were right on top of one another. I was 3 days overdue and my doc scrapped me and they gave me pitocin because I was I’m so much pain which made it worse! Epidural it was! 2 hrs later I had her. Pushing peice of cake! Labor not so much! 24 hrs later we had our little Belle Boa. (If you knew me you’d understand lol) I felt so traumatized after I said I will never ever have anymore kids. Who’s wants to go thru all that pain over and over again!? I don’t get it! 🙈🤷🏻‍♀️My husband wants a boy in a couple of yrs and I’m terrified. Well, two thoughts – one thing is that you can’t just order a boy LOL, so make sure he knows that going it… but the second thing is that GENERALLY labor can me much easier the second time!! I mean, it still feels like labor, but honestly, my 2nd wasn’t even comparable to my first. And I know loads of other women who would say the same thing!